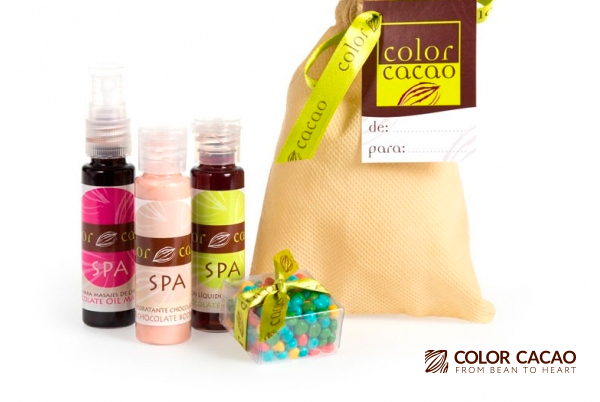 Chocolaterapia In Color Cocoa, we develop Gourmet formulas (Aroma, color and texture that simulates chocolate) effective for the care of hands, feet and the whole body, achieving a relaxing and delicious experience that modifies your mood and fills you with happiness. 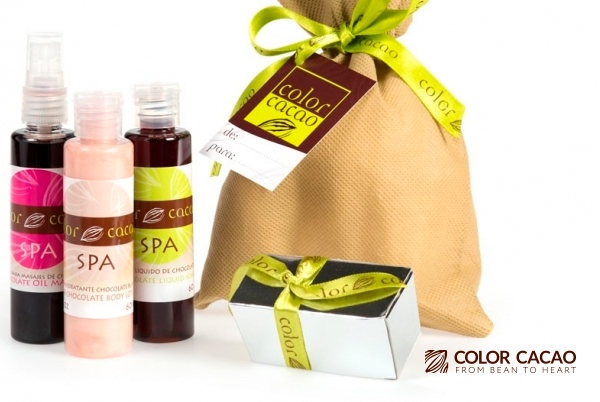 The products of Color Cocoa Spa (Chocolaterapia) were developed for personal enjoyment, they are ideal when there is feeling of stress and the skin feels tight or dry. Its effects are on two levels: a pleasure for the senses, moisturizing and nourishing on the skin. We are an enterprise dedicated to elaborate chocolate products, such us chocolates and bars, We are accomplices of your emotions: we combine the handcraft techniques of European Chocolatery with selected fine cacaos from Colombian farmers to offer unique experiences of flavor, aroma and texture. For more information we invite you to enter the contact page.